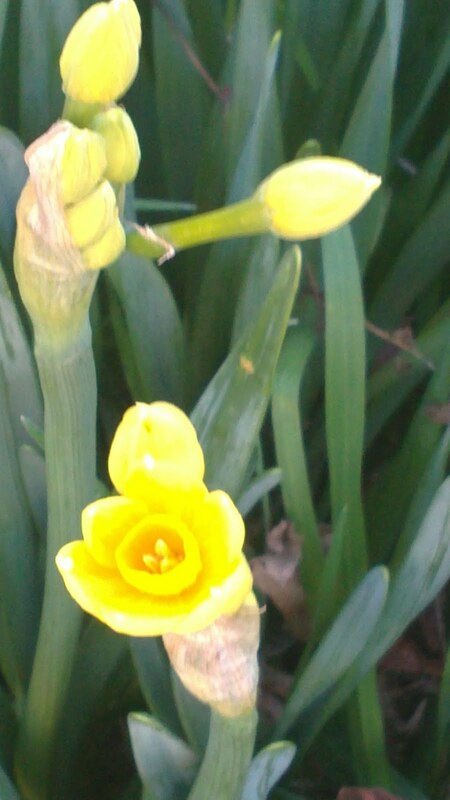 Jonquils! Spring is coming and I can't wait! 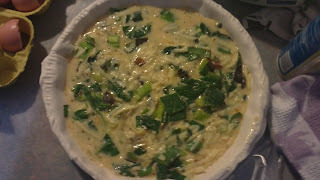 I just picked a huge leek and some baby spinach from the veggie patch and made this quiche that is ready for the oven! 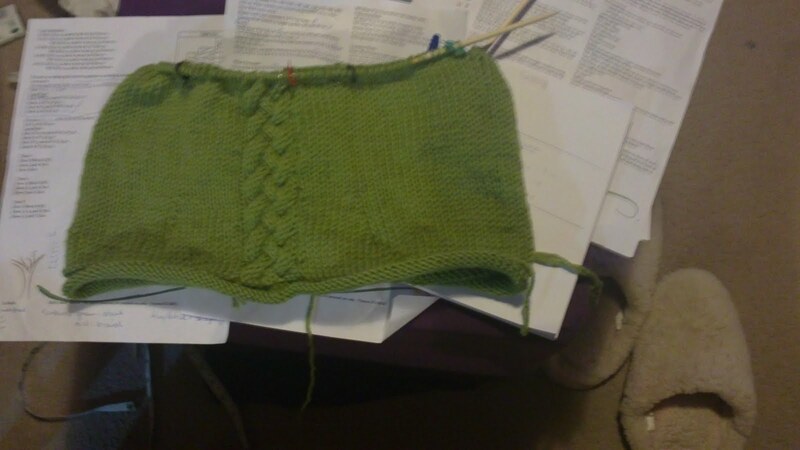 My Moelle vest is growing and I'm enjoying the pattern and knitting in a thicker wool for a change! It is raining today and it has lowered my spirits somewhat, however with little rays of sunshine like this little jonquil popping up, I can't help but smile. 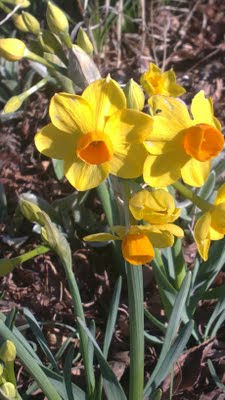 Hoping there is a little ray of sunshine where-ever you may be!